The concept of the mono LP is not a strange one. As music fans, we are happy to buy and collect new and old mono pressings while the instances of mono rarities appearing within classic LP reissues is actually a growing one. The Beatles, for example, recently released their entire mono discography within a humungous box set. When faced with audiophile demands, though, why are we unsettled in the company of a mono pressing and rather shy of playing these mono pressings in the proper way? That is, why do we persist with the playing of mono pressings with a stereo cartridge? OK, your mono collection may be too small to justify a new outlay on a mono cartridge and budget concerns might just prioritise the gas bill over a new unit. If your record collection features a healthy selection of mono pressings, though, and money is not too much of an issue, then you really have to think again. If I approached a Philips, star-headed, screw with a flat-headed screwdriver, you’d look upon me in an odd fashion. Sure, I may be able to shift the screw and, given time, complete the job yet any sane individual would tackle such a screw with the correct tool. It’s the same here. 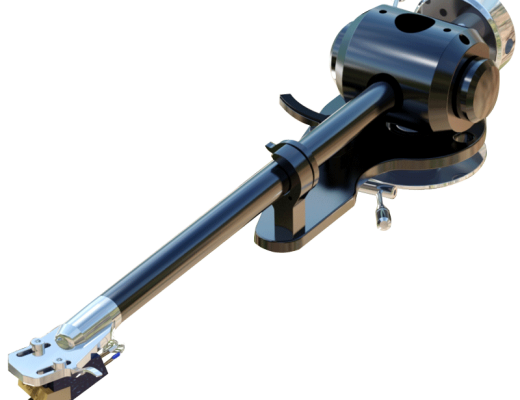 If you are about to play a mono pressing, why not do so while using the right tool for the job? Ah, you say, but does it really matter? In sonic terms, that is. Is the purchase of a mono cartridge really worth the bother? The independent Japanese company, Miyajima, think it is. 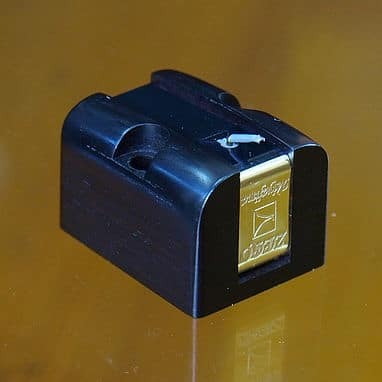 Run by a dedicated specialist in cartridge design, Noriyuki Miyajima, with a small staff of six people, Miyajima actually began his commercial business in 2002 by creating true mono cartridges. That is, mono cartridges designed from the ground up instead of tweaked designs adapted from stereo. It was a full three years later that he decided to issue a stereo cartridge. This man is serious about mono. 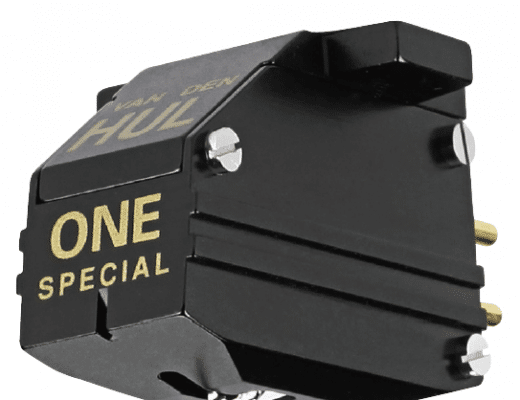 Its top-of-the-range mono cartridge arrives in two sub-versions: A and B. The former features a 1mil tip for mono records with a 1mil groove pressed pre-1967 (or thereabouts, the date is not exact) and the B arrives with a 0.7mil tip for post-1967 mono pressings with the smaller 0.7mil groove, including modern pressings. This review focuses on the B model. Using a conical tip, the Zero B arrived with an African blackwood body: known in instrumental spheres for its musical properties and often used to create clarinets, flutes, oboes and bagpipes. The cartridge weighed in at 11.8g, including a single coil over a resin core. The recommended tracking force range is very large, from 2.0-4.5g, but 3.5g seemed optimal. Positioning during installation was enhanced by the square body although the long screws, necessary for the deep chassis but offering only a small exposed area for the two screw nuts, was a mite fiddly. To begin, I decided to pitch Miyajima against Miyajima: A vs B via my Origin Live Sovereign deck. I wanted to see if there was any noticeable difference in sound quality when using a 0.7mil B mono cartridge with a record cut with 1mil grooves. I chose Bing Crosby’s Anything Goes (1956). 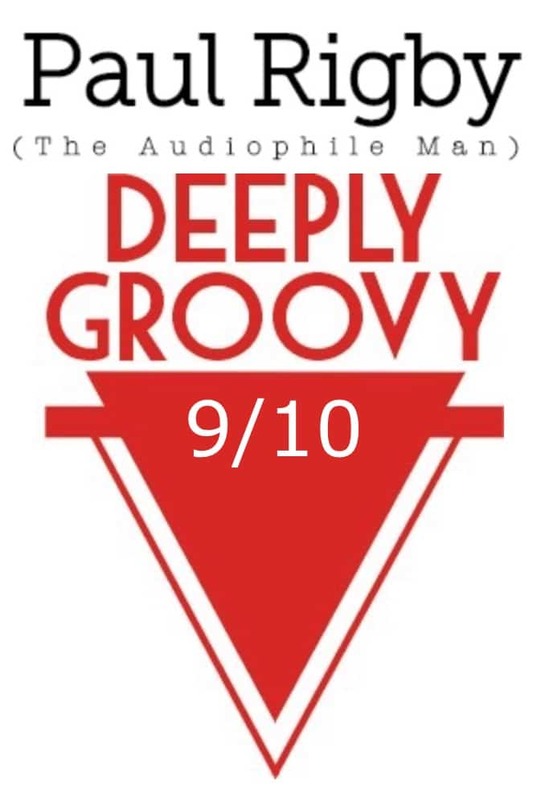 I wanted to see how the two designs tackled Crosby’s legendary baritone vocal delivery, rich in low frequency resonances. Spinning the track, Magic Window the performance of the ‘B’ was, in a word, ‘weedy’. In isolation, the B offered commendable articulation. It was sprightly and nimble in how it sought and coveted detail and the clarity was, on the face of it, admirable. The 1mil A cartridge in the 1mil groove, though, added at least 40% more information as it retained contact with more of the wider groove (the B sat too low in the 1mil groove and ‘rattled’ around the larger space). Hence, the A cartridge gave you far more contact and, especially, bass from the Crosby baritone. Because of that, the A showed you exactly what Crosby was trying to do in terms of contrasts. For example, at one point, he backed off the microphone for three words, losing bass notes, before coming back to emphasis the bass again. The 0.7mil B missed this effect entirely. I changed tack and moved to a modern mono cut. The Kink’s The Village Green Preservation Society featuring a mono, 0.7mil groove cut in 2004. Now the boot was on the other foot! Now it was the 1mil A mono cartridge that sounded weedy and lacking involvement (because it sat too high in the 0.7mil groove). Again, in isolation, the 1mil Zero A on the 0.7mil groove was nominally impressive with good tonality and focus. It remained so but the 0.7mil Zero B in a 0.7mil groove thoroughly trumped it. The latter sounded more involved. There was far more information swimming around and a whole lot more bass too. Both bass guitar and the bass strings on the electric guitar had presence and guts while low-end percussion had both heft and grip with the B. Vocals offered tremendous emotion and nuance, sitting in a busy and packed soundstage that was both wider and better structured. So, horses for courses then. The next stage was to move to my Avid Acutus which toted a stereo Benz Glider. The first task was to do what most people do when faced with a mono cut, play the record using a stereo cartridge with the phono amp switch flicked to the mono position. I then swopped the Glider with the 0.7mil Zero B to hear any differences. The Glider is a top notch stereo cartridge and is my current stereo reference. Before I was exposed to the Miyajima mono cartridges, I was quite happy to listen to mono LPs via the Glider in mono-mode. Now? Imagine a car running on office chair castors instead of wheels. Just imagine the lack of control that results. That’s what the Glider sounded like. That’s not being derogatory towards my Glider. It’s recognising, again, that this is just the wrong tool for the job. Playing the Kinks’ track, in purely relative terms to the Zero B, the Glider’s upper mids lacked essential focus while bass was wooly and the soundstage irregular. The 0.7mil Zero B, in comparison, calmed these troubled waters, actually widened the soundstage, separated the instruments, applied focus, insight and improved overall clarity. The difference was stark. After hearing how the Zero 0.7mil handled a 0.7mil grooved mono pressing, I’m afraid that I cannot now listen to a mono pressing played with a stereo cartridge. For the Miyajima 1mil and 0.7mil comparison, the moral for both cartridge and groove sizes is that the 1mil cartridge performs best in a 1mil groove and the 0.7mil cartridge performs best in a 0.7mil groove. The differences are real and, surprisingly, large. Large enough for me to want to use the reviewed 0.7mil mono cartridge in more ‘modern’ mono records, exclusively. The amount of information lost when you use the wrong tools for the job is large and, frankly, unsettling. 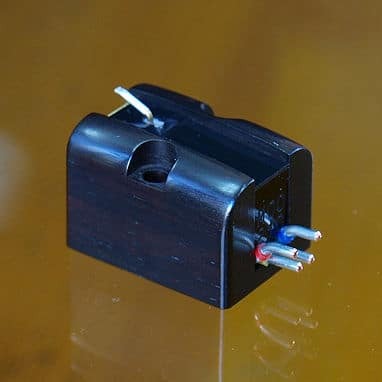 In terms of ‘making do’ and using a stereo cartridge with the support of an active phono amp’s mono switch, to play mono pressings, is a situation I no longer even want to consider. 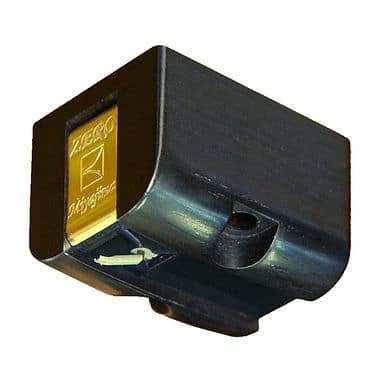 If you have a collection of original late-production mono pressings or modern mono cuts you must demo a sample of the Miyajima Zero B mono cartridge. It is the best, in its class, that I’ve ever heard. Hello, fantastic article that I found through the Ammonite Audio website. I’m interested to see what you think of the A/B comparison between 1-mil and 0.7-mil stylus tips on my site, complete with needle drops (I can’t post a link here, Google “Deep Groove Mono Playback”, the article is titled “Mono Vinyl Playback on a Modern Stereo Audio System”). Thanks for getting in touch, Rich – interesting blog. Can you post a link so that I (and indeed we) can have a look please? You might want to direct us to a particular page. Unfortunately the site (WordPress?) thinks a comment is spam if I include a link and won’t let me include a link in my comments. Why not print at in English, Rich – that is, instead of the @ sign type ‘at’ and you might be able to get away with it. Failing that, email the link to me and I might be able to insert it from my side.